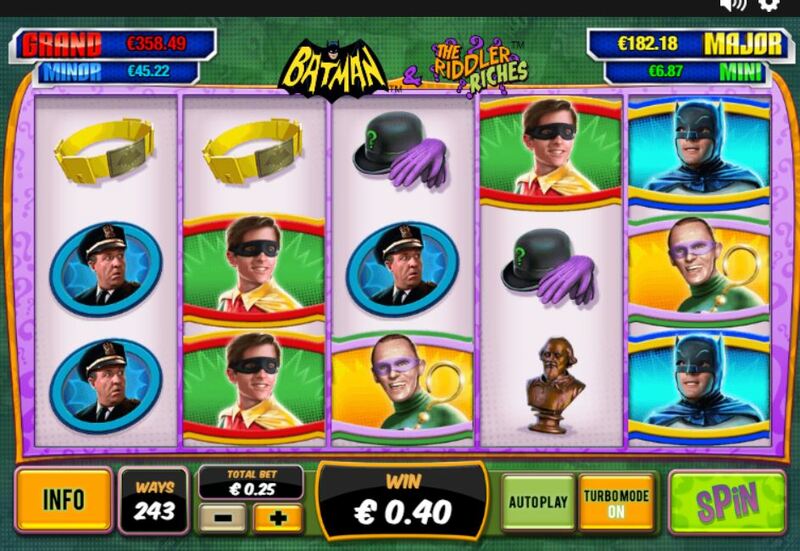 Batman And The Riddler Riches slot by Ash Gaming is playable at many Playtech casinos and is a DC Comics – themed slot. 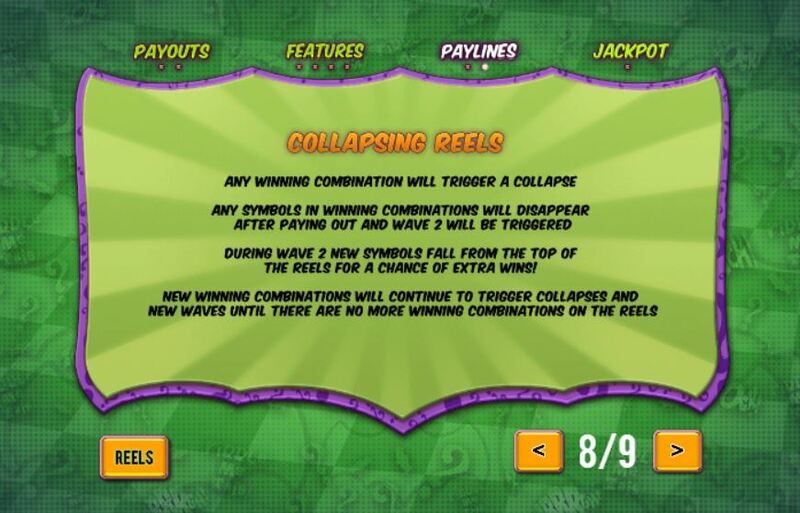 There are 5 reels with 3 rows and 243-ways to win and this is a cascade game so any winning symbols disappear and more drop down until no more wins are formed. Naturally Batman and The Riddler are the best symbols here and appear stacked. 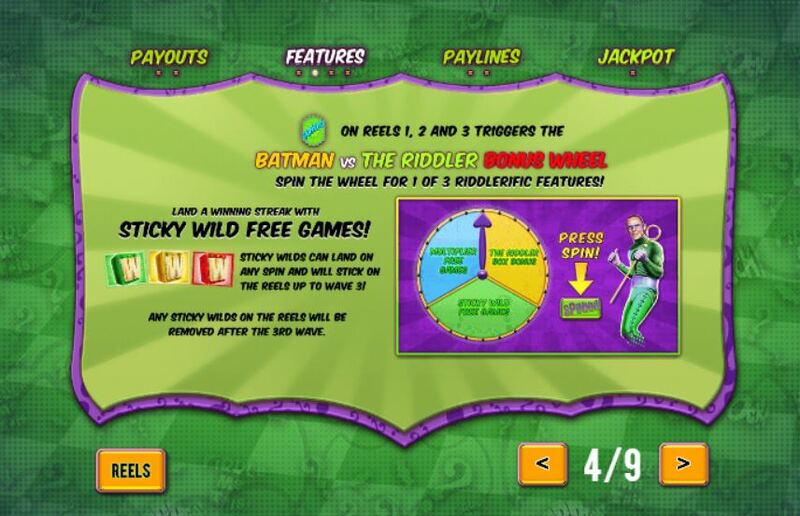 The Riddler may during any spin overlay many positions on the reels with himself and after the spin they all transform to the same symbol – hopefully the Wild! 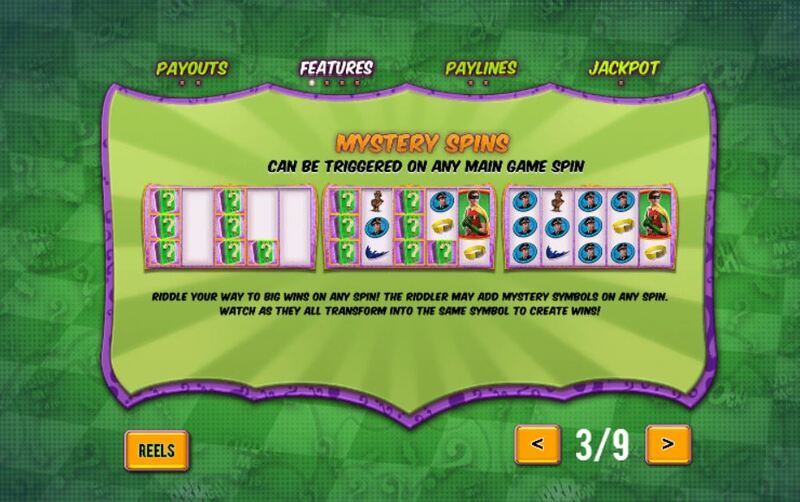 Scatters 1, 2 and 3 will trigger a bonus wheel which awards cash, sticky Wild free games or multiplying Wild free games. It can pay to visit Gotham City!